I knocked over my working teletype ASR 33. Now it does not work correctly. After locating all of the pieces, I carefully re-installed as much I could. I was only partially successful. 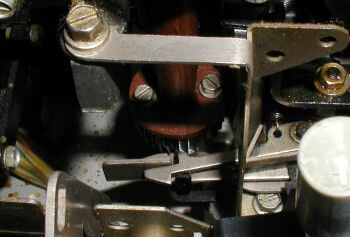 The typewriter part of the Teletype model ASR 33 responsible for moving the print head over one space at a time. 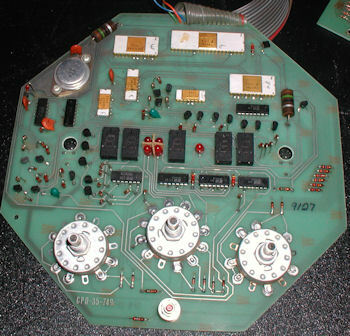 I do know that the teletype is sending data correctly from the keyboard to the computer through the serial cable, and the computer is receiving the commands. 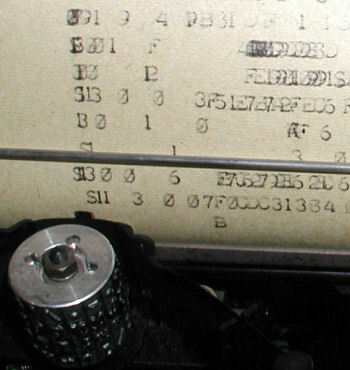 Output from the computer to the teletype is received and the print head itself is printing the correct characters. The problem is that the print head is not moving horizontally along the line, it just says in place and types each character on top of itself. If I manually move the print head at the just the right speed I am mimic the horizontal spacing and the output will print to the paper. It's not too even however. Detailed pictures of problem area Note that in some images a second teletype is seen, I was using for comparison purposes to re-assemble the machine I knocked over. I have been working on this for a number of hours and I have learned a lot, but I am not quite able to resolve this issue. Any ideas? Get a new teletype? compare his with this image. Notice just above the 1 key, the catch arm and guard for the end of line are missing. From this picture I noticed that I was missing an arm piece that holds the end of line guide for carriage. I borrowed one from my parts unit. I also figured out that if I put a little pressure on the orange sprocket holding the gear that moves the print head horizontally, I can get the gear to catch, and print characters horizontally. The pressure is sort of a clockwise spin. Repeatedly doing this spin eventually shook free the arm and now the horizontal spacer works without my assistance. I still have to re-align the keyboard keys and the carriage itself does not fit cleanly into the stopper cylinder. When the carriage returns it's slow to get into the start position, and does not complete the trip until after the first character is printed. Because the carriage is still sliding back to the left, the 2nd character is printed where the 1st should be, and the 3rd is typed over the 1st as the carriage moves right horizontally typing the line on the page. The rest of the line prints OK, except that the text gets fainter as the print head moves to the right. I have spent a number of hours comparing my two other teletypes (parts units) and pictures provided to me from fellow hobbyists. Using a screw driver and socket wrench I have been adjusting the parts to align better. Basically the ASR 33 works now about as well as it did before it was tipped over (which was not perfect), but I want to make it work better now that I am engaged in the project. They're quite easy to work on once you spend some time on it. Basically it's working "clunkily" but that's not good enough. NEXT - I need to make alignment adjustments to even out the print quality - the right side of the printed line is fainter than the left. The piston of the carriage does not fit well into the "dash pot". Also, the zero key sticks. I also need to clean and lube the chassis. Not bad all in all. The Teletype ASR33 Printout of the SWTPC SKBUG monitor in papertape format. Each line beginning with S1 represents a line of papertape code. I was able to get the printer parts working adequately, cleaned, and printing fairly evenly. The tops of some keys are not showing on the printout, but I believe I can fix this by slightly raising the print roller or lowering slightly where the keys strike the paper. I used "Goof Off" to clean out the inside of the piston that enters the dash pot. I think it was so gummed up that it was not sliding into place quickly enough. That seems to have fixed the problem described above with the first few characters not spacing correctly. I also adjusted the piston alignment slightly. Next - fix the typewriter. The keys work, but the "0" key sticks and I often have to pull it out of its socket to print "00". I also have to get the CTRL key to sit straighter in the housing, and the BREAK key is not lining up correctly. 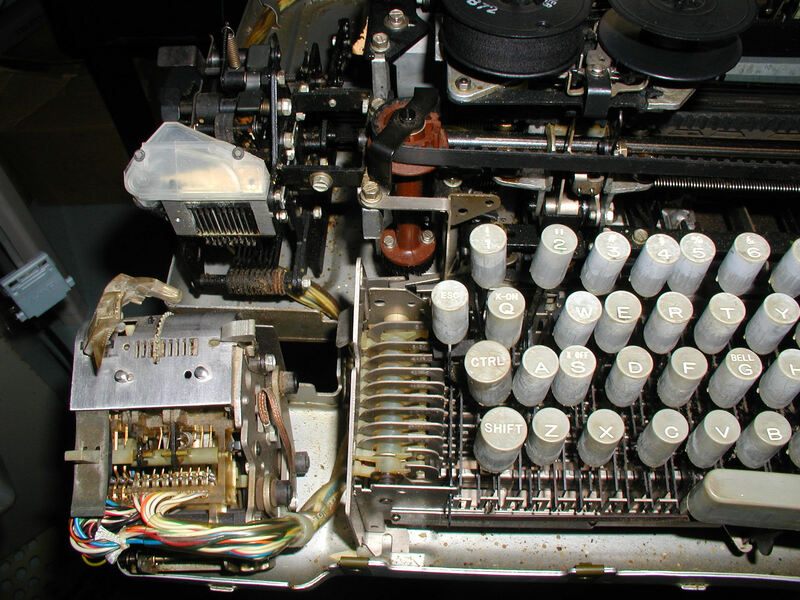 The Teletype ASR 33 with the cover removed.